In today’s competitive marketplace, companies in need of an ERP system must carefully navigate the congested roadway of software and vendor options available. Once implemented, however, the right system can enhance productivity, encourage growth and increase ROI. 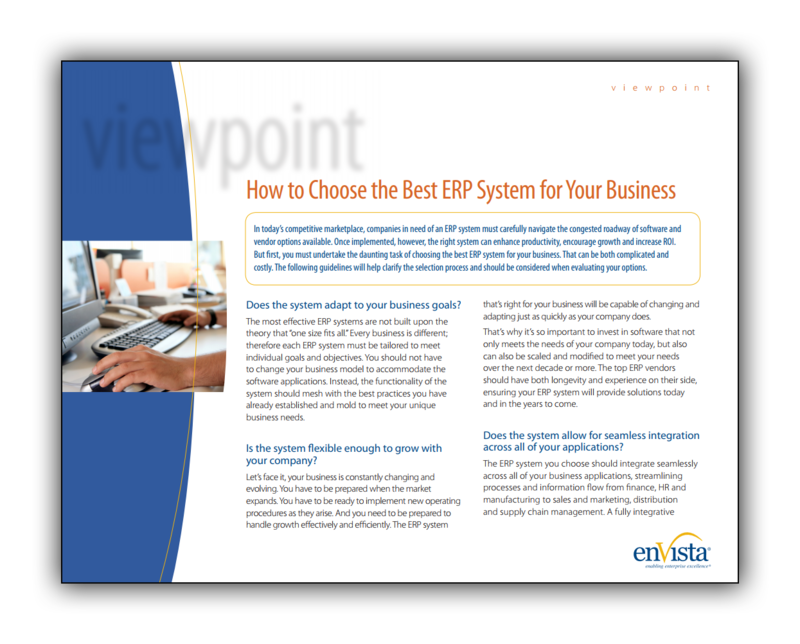 But first, you must undertake the daunting task of choosing the best ERP system for your business. That can be both complicated and costly.